Last November, a series of violent terrorist attacks took place in Paris, one target of which was the Bataclan, where Eagles of Death Metal were playing a sold-out show. They’ve since spoken about the horrific incident, and now, the band is working to help victims of the Paris attacks. Partnering up with a number of streaming services for a campaign called “Play It Forward,” EODM is asking fellow musicians to cover their song, “I Love You All the Time,” of which 100% of the royalties from the covers sold will be donated to The Sweet Stuff Foundation. The band encourages those who are taking part to “donate the money generated from sales of the song to the charity.” Finally, EODM is also asking fellow musicians to offer one of their own songs to be covered by another artist and donate the royalties to charity (hence, “playing” it forward). A number of musicians have covered the song, including Chelsea Wolfe, Elton John, Florence + The Machine, and many others. One of the latest is a collaboration between Beck and Fabrizio Moretti and Nick Valensi of The Strokes, whose rendition channels a different feel altogether than that of the original, more lush and relaxed. 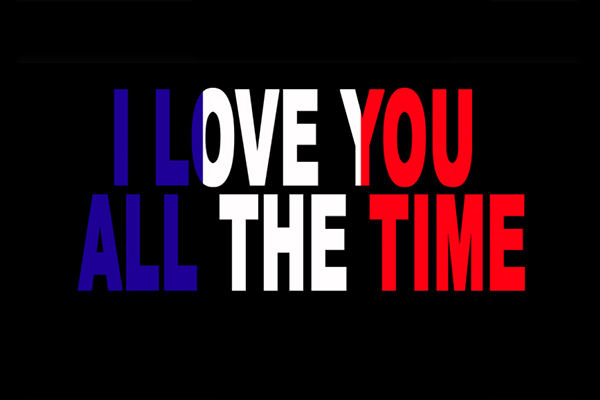 Listen to Fabrizio Moretti, Nick Valensi, and Beck’s cover of “I Love You All the Time” as well as the original below, and check out all the covers that have been released thus far here.